Styled with tie-front pant and delphine sweater . Reason enough to look forward to winter. 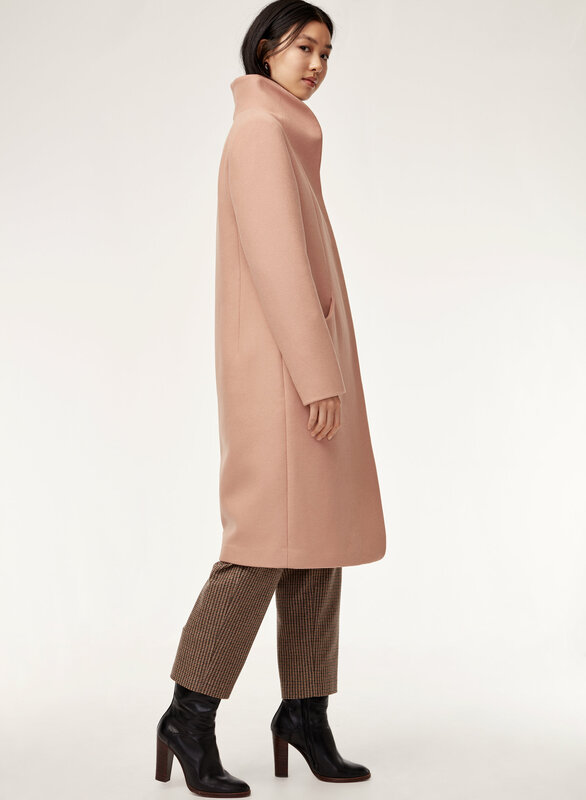 This streamlined coat is made with a wool-cashmere blend from a premier Italian mill, so it's both beautifully structured and exceptionally warm. 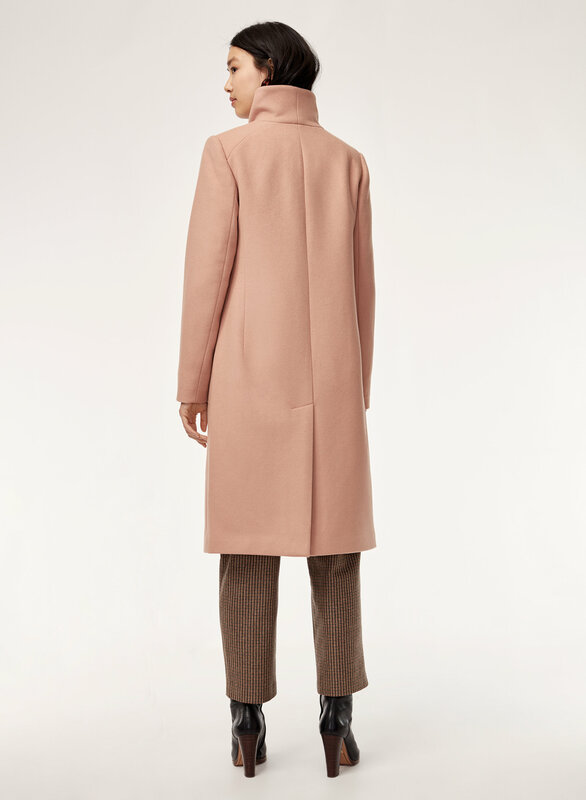 This coat first got my attention when Meghan Markle was spotted wearing one. Now that I have it I see clearly why a duchess would pick it. 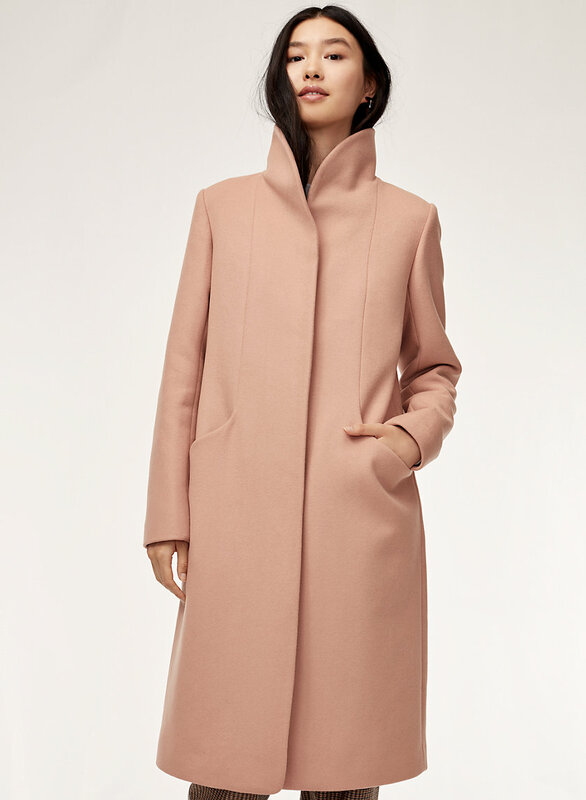 The coat is nice and elegant, not chunky but warm, and the fabric is so soft! I love the feeling when I wear it and I receive tons of compliments! Purchased this as a reward for getting my first "big girl" job and couldn't be happier. It has such a professional look to it and is clearly made very well -- keeps me perfectly warm during the cold Chicago winters. Definitely interested in purchasing the shorter version!! 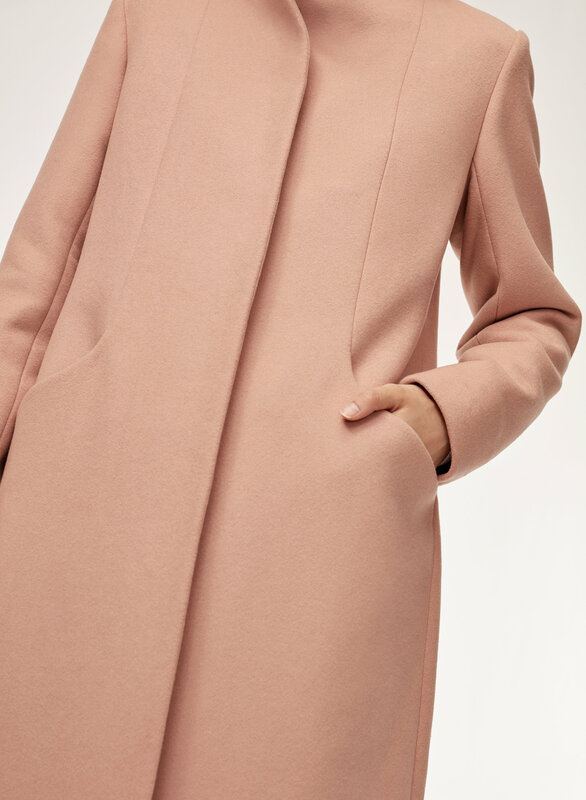 I absolutely love this coat. So happy I order the long as winter came early and it has been so cold. Warmer than my winter downfilled parka. 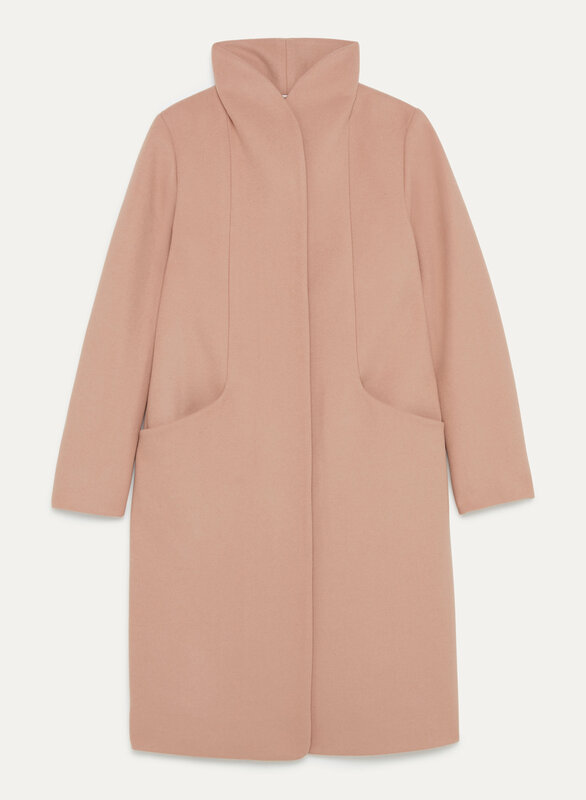 Usually have to sacrifice warmth for style in a dress coat but not with the Cocoon. Very soft, warm, classic cut. Good investment. Beautiful jacket - warm enough for fall/spring weather. Material is amazing and great quality, plus the jacket is so stylish - a jacket that will last for years and never go out of style. Also purchased the short version because I love it that much! Comfortable, warm, and great quality! The length is exactly what I was looking for! I have the shorter version and am extremely happy that there’s a long version! 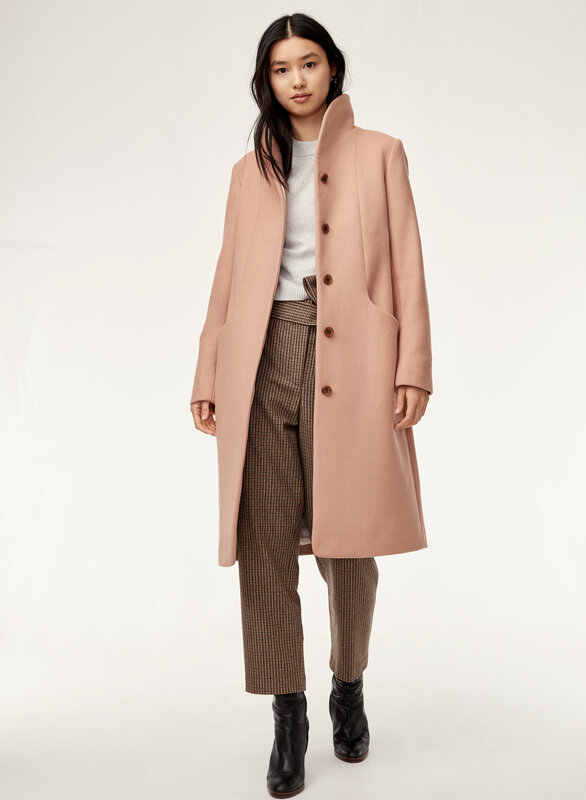 Warm, practical yet super trendy for the NYC classy gal, work days, going out - extremely versatile. Highly recommend!